Made using “100% young green coconut water” from coconuts grown Philippines, Unoco coconut water is also bottled in Philippines unsweetened and without pasteurisation, hence the term ‘raw’. Due to the lack pasteurisation Unoco can turn pale pink while in the bottle. (sample use by 13/Jul/14) Hazy, pale pink tinge. Delicate coconut with faint galia/water melon. 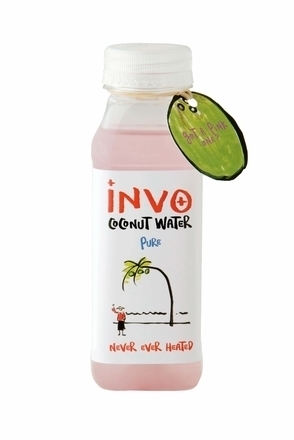 More subdued in flavour than other coconut waters. Delicate coconut with faint desiccated coconut and faint diary milky note. Mild coconut with lingering dairy milk and nutty note.